It is always worth considering every possibility when taking on relocation to Rayners Lane, HA2. It's a very important process that's often a complex one. So using the right removal services is of paramount importance. Which service is suitable for you? Here is a list of the services we offer at Moving Service and hopefully it'll be helpful in making your decision. 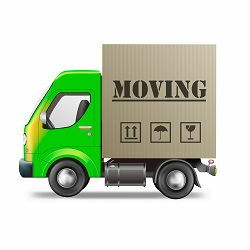 Our movers are some of the most skilful in the entire HA5 area, and always provide highly professional services, regardless of the location. We'll guarantee that no matter where you start, we'll get you packed up and moved in no time. You could choose our man and van services for a small budget option. The standard movers described above excel at regular moves, the man and van services excel at smaller moves. If you've not got too much to move, hire this option with us. And for those who want to take the removal on themselves, there's the van hiring option. We will provide you with a high quality and properly maintained moving vehicle, and leave everything to you. There are a lot of hiring packages available, so give us a call to find out more. No matter which of the above services you end up going for, our team members will do their best to ensure you get the service that you deserve. We favour quality over everything else, so if you're looking for a guaranteed moving hit, give us a call on 020 8746 4402. It is an area that's got everything you need: quality transport connections, a whole host of easily accessible shops and services, and a lot of architectural character. 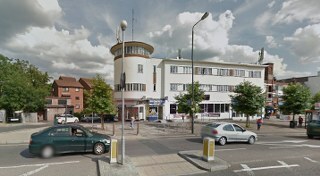 It's located in the London Borough of Harrow, and is part of both the HA2 and HA5 postcode areas. The Rayners Lane tube station is what the area is built around, and it provides London Underground connections to areas on the Metropolitan Line and the Piccadilly Line. This means the rest of London is easily accessible from here, which is a great asset for residents. In terms of shopping, there is a variety of restaurants, shops and banks around the area. Even though it is a relatively small area, it is conveniently located. A point of interest in the area is the Art Deco building that used to house a cinema. Now, it's a Zoroastrian temple – the only one of its kind in Britain. It is a small area, but it has a lot to offer. Except an active shopping scene, cultural landmarks and easy connections to the rest of London, there are a lot of attractions to be found by a potential resident. Planning your move is a big deal, so it makes sense to consider the options that you have, and make your move from there. The asset that all of our removals services in Rayners Lane, HA2 have in common is that they all have a solid framework. All of our removal personnel are experienced and very good at their job, so you'll be in safe hands. For an efficient moving package in Rayners Lane, consider the affordable options that our company offers. There is bound to be a service that fits your requirements. For more information on what we provide around HA5 area, give us a call on 020 8746 4402. Make a short notice booking to move some of my stuff to my friend's house in Rayners Lane HA2. Their man and van service promptly arrived, and had my things loaded onto their van in under an hour. Moving Services is a great company.